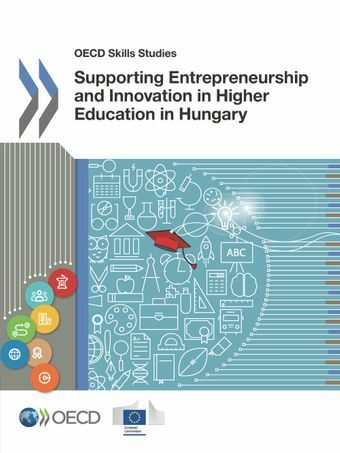 On 29 November 2017, the OECD-EC report on Supporting Entrepreneurship and Innovation in Higher Education in Hungary will be launched in Budapest in presence of Laszlo Palkovics, Minister of State for Education of Hungary, Jens Nymand Christensen, Deputy Director General of the Directorate-General for Education an Culture of the European Commission, and Sylvain Giguere, Head of Division, Local Employment, Skills and Social Innovation, and Head of the Local Economic and Employment Development Programme (LEED), OECD. Develop a common definition of the third mission in higher education institutions. Introduce viable funding mechanisms for the third mission in higher education institutions. Stimulate collaboration between higher education institutions in strategic areas. Strengthen the support infrastructure for venture creation in and around higher education institutions. level to enhance the impact of entrepreneurship, innovation and the third mission. Build a common information and data framework for the impact of entrepreneurship, innovation and the third mission. Develop a common understanding of the third mission and the entrepreneurial agenda specific to the HEI’s profile and expectations. Appoint a senior manager with responsibility for entrepreneurship, innovation and the third mission. Introduce viable resource allocation mechanisms to support entrepreneurship, innovation and the third mission, including incentives, an innovation fund and horizontal support services. Introduce professional development and mobility programmes for staff related to entrepreneurship, innovation and the third mission. Enhance the involvement of students and young researchers in entrepreneurship, innovation and the third mission. Provide basic support for new venture creation, well-embedded in the wider start-up ecosystem. Build capacity at institutional and individual levels to understand, document and measure impact.